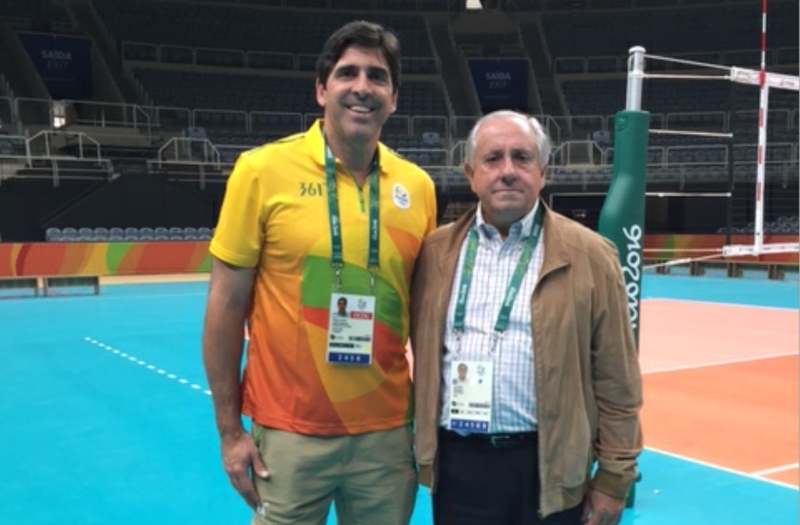 News detail - President Graça: "Maracanãzinho will be a beautiful stage for our sport"
President Graça: "Maracanãzinho will be a beautiful stage for our sport"
Rio de Janeiro, Brazil, July 27, 2016 - Rio 2016 Olympic Games volleyball competition manager Giovane Gavio welcomed FIVB President Dr. Ary S. Graça F° to the Maracanãzinho on Tuesday. President Graça, who praised the work done at the venue, said: "I can assure that the Maracanãzinho, which the Cariocas call the "Temple of Volleyball", will again be a beautiful stage for our sport." 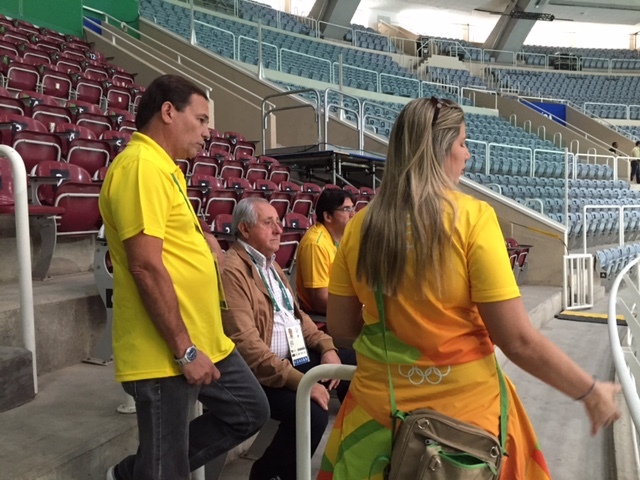 President Graça inspected the different areas of the stadium which will welcome the men's and women's volleyball tournaments in Rio. Japan and Korea will open the women's tournament on August 6, with the first matches in the men's tournament following on August 7. "Everything is ready, the two warm-up courts are very good, everything is very clean. The people here have worked very hard and the teams can come and expect to participate in the best event ever." Twelve teams per gender will aim to win the Olympic titles Russia's men and Brazil's women claimed at the London 2012 Olympic Games. The refurbished Maracanãzinho is the traditional home of volleyball in Brazil. Inaugurated in 1954, the arena has hosted numerous events including the World Championships in 1960 (Men's and Women's) and 1990 (Men's). It was extensively remodelled for the 2007 Pan American Games and hosted the FIVB Volleyball World League Finals in 2015 as a test event for the Rio Games. President Graça's visit to the Maracanãzinho followed on from an inspection of the beach volleyball venue on Copacabana, which is set to impress athletes and spectators alike.